(Newser) – A typhoon was winding down in Taipei on July 10, 2016, but two men braved the rain to make a surprise withdrawal from First Commercial Bank: stacks of bills that the ATM spat out without either man touching a button. They were two of 15 "mules" stealing the equivalent of $2.6 million that night in an online hacking scheme that, since 2013, has stolen about $1.2 billion from banks in 40 countries—likely the biggest digital heist in history, Bloomberg reports. 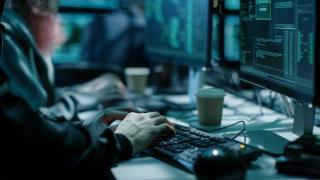 Investigators say that a group of cybercrooks dubbed the "Carbanak gang" has been using techniques usually employed by spies to hack into banks, move money around, and send cash to ATMs. "Carbanak is the first time we saw such novel methods used to penetrate big financial institutions and their networks," says the co-founder of a London intelligence firm. Time to put in under the mattress. We all fear a future war will involve nukes but more likely, it will be won by those with the best cyber guys. That's how demmy's get their hands on under the table money! That way it can't be tracked back to them! Politicians go figure? Hmmm, how do I apply for a position? I speak 3 languages if that helps.